Family fun in Boston is around every corner. From the waterfront to the Fens, and across the river too, Boston is full of family-oriented attractions. 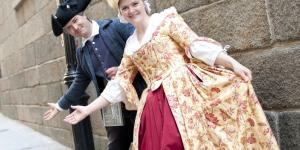 We make history fun with tours of the Freedom Trail and interactive exhibits at the Boston Tea Party Ships & Museum and the USS Constitution Museum. Don’t worry about those little feet getting fatigued because everything in Boston is nearby. If you do need a rest, hop aboard a Trolley Tour. Boston museums are full of adventure. Start with the Boston Children’s Museum in the Fort Point Channel neighborhood. The Children’s Museum has been engaging and entertaining young minds for over a century, spend the day never hearing the words "Don't Touch!" 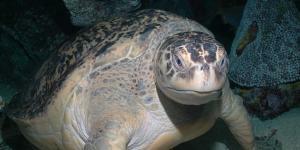 Head north along the waterfront and you will arrive at the New England Aquarium on Central Wharf. Play with the seals, watch the penguins frolic, behold the Giant Ocean Tank, and get hands-on at the Shark and Ray Touch Tank. Outside the Aquarium you will find an IMAX theater and whale watching excursions depart on the hour. Adjacent to the Aquarium is the Rose Kennedy Greenway, full of food trucks, water fountains, art installations, open air market vendors and a unique carousel. Head into Faneuil Hall Marketplace to peruse food vendors inside Quincy Market and scintillating street performers up and down the corridors of the historic marketplace. The Museum of Science is conveniently located just off the Green Line T. Take the T to Science Park and you will see the famous T-Rex looming outside the building. Explore the Butterfly Garden, Hall of Human Life and recently opened Yawkey Gallery. Outside the museum the iconic Boston Duck Tours have a departure location. Hop aboard and see Boston from land and water. Duck Tours also depart from the Prudential Center and if you are boarding from the Pru head up to the Skywalk Observatory on the 50th floor; take in a bird’s eye of Boston and get a great view of Fenway Park, which is also open for tours. Across the river Cambridge is great for families as well. Tour Harvard University with Trademark Tours and stop by the Harvard Museum of Natural History to see the famous Glass Flowers and new Marine Gallery. In neighboring Somerville the Legoland Discovery Center is a one-of-a-kind experience. Come to Boston! An old city that’s perfect for young families.